COMEDIAN. .WRITER. .ACTOR.. F*CKWIT.. PROSECCO BOTHERER. .AMATEUR FORGER. “Feisty fire-headed pocket rocket “Broadway Baby. 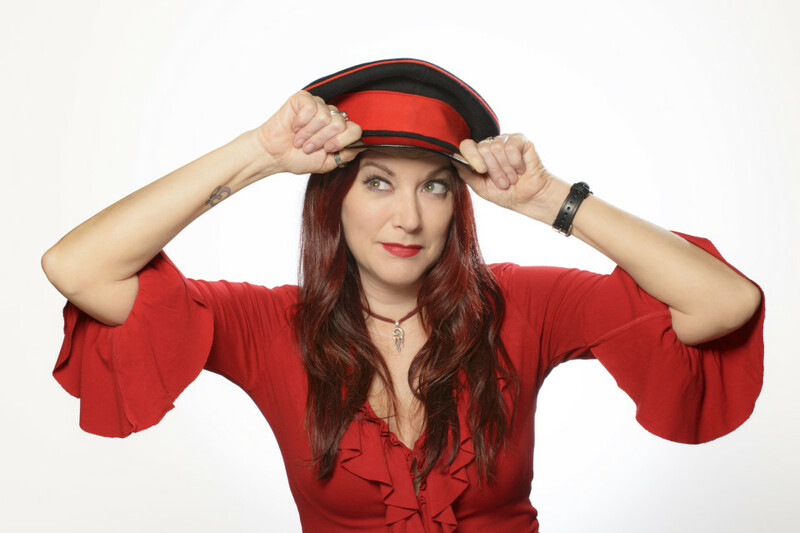 Susan has emerged as one of the best female stand-ups in the UK and was the first ever woman to MC Decompression gigs for the British Army / CSE. She is in the top 100 Huffington Post funny women Tweeters. She’s wrote for and was a guest on Jeremy Hardy Talks To The Nation and has also starred in Stephen K Amos’ Idiots Guide both for Radio 4. She has penned 4 successful solo shows at the Edinburgh Festival as well as performing in several comedy plays and sketches. She made her TV acting debut in the 3rd series of ITV’s “The Job Lot” alongside Jo Enright and Russell Tovey. She is currently presenting on East London Radio and about to go on tour with Britain’s Got Talent star Daliso Chaponda. Dates are here. Not only that Susan has penned a chapter about comedy in Counter Culture UK A Celebration. She has written and starred in the topical web show ‘Britain’s Got People’ with Dave Cohen ( Have I Got News For You/ Horrible Histories). Susan is working nationally for the majority of promoters and clubs in the UK and has gigged internationally; Quatar, Dubai, Abu Dhabi, China, Malaysia, Indonesia, Germany, Luxembourg, Brussels, Ireland. Her versatility means that as well as corporate gigs Susan works Biker Festivals and music festivals including Glastonbury, Bestival, The Big Chill, Reading, V, Download. Acting credits include starring in the TV comedy drama “Love, Lies and Lipstick” for ITV, Arthur Smith Sings Leonard Cohen (Pleasance, Edinburgh Festival and Garrick London) and Itch Scratch at The Pleasance Theatre.